At DBS, our solution to block foundation walls in a crawl space is the WallCap Block Wall System. This plastic covering seals off the top of your block wall, keeping humidity out. And because it's clear, your walls will still be visible for termite and pest inspectors. If you're concerned about humidity in your crawl space, you've come to the right place. We offer free estimates throughout Duluth, Superior, Minneapolis for our crawl space services, including sealing block walls. Schedule yours today! Ready to eliminate the issues that crawl spaces can cause? DBS offer free estimates for all of our services! 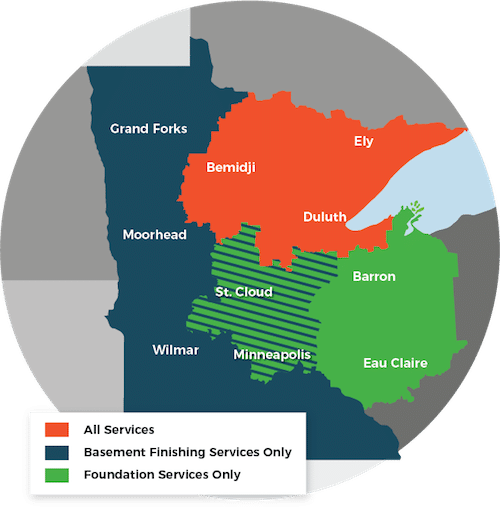 We serve Superior, Duluth, Minneapolis and many nearby areas in Minnesota and Wisconsin.